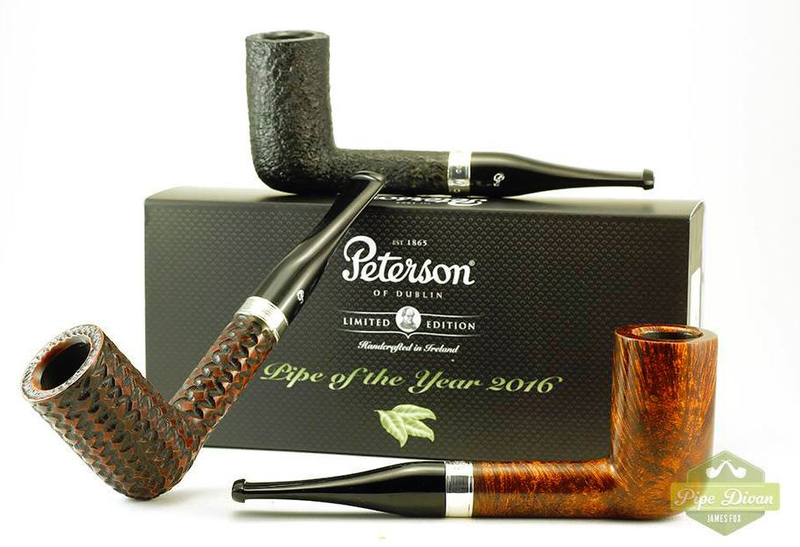 Peterson’s Pipe of the Year is one of the company’s most long-standing successes in the worldwide pipe-smoking community, and an idea that other companies and artisans have since imitated. The series is now in its 21st year, and as Pete Nuts and other pipe-companioners often have questions about them, I thought it would be fun to put images of all twenty-two pipes together in one place. That’s right, there are actually twenty-two different shapes, because in 2000 a set of two different shapes was released. Here we go. When the series began, it had two names, one stamped on the bowl–LIMITED EDITION–and another by which it was commonly called–PIPE OF THE YEAR or POY. Most in the hobby now use POTY as the preferred acryonym. 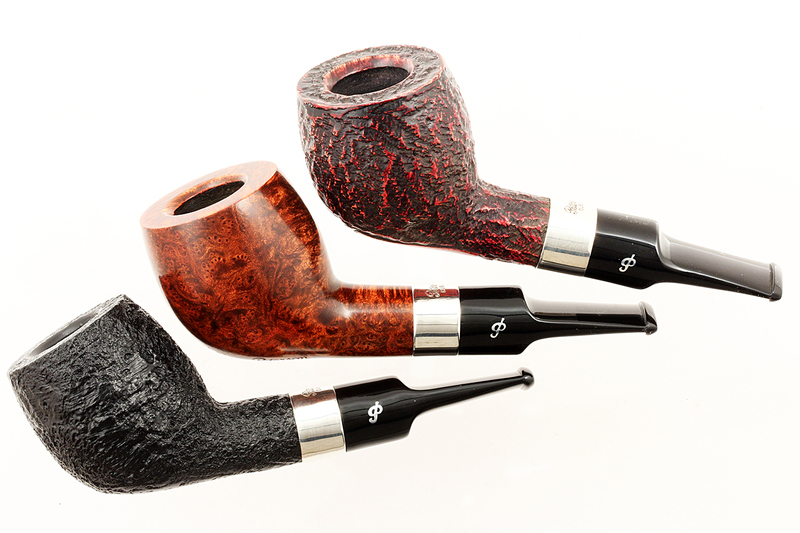 Only the smooth pipes are called “Limited Edition” and numbered. The sandblasted edition (aside from the Founder’s Edition 2015 POTY) is called the “Pipe of the Year” and stamped accordingly. That is, until 2016, when “Limited Edition” stamping was dropped and the series began being stamped PIPE OF THE YEAR. There are a few other “ifs, and, and buts,” but this will get you started. For those curious to know, the 2004 and 2008 bowls are, per Tony Whelan, Jr., former factory manager, exactly the same. The 2014 was the first to feature only the availability of an acrylic mouthpiece. More’s the pity, but the company seems to have problems sourcing quality ebonite mouthpieces, and that, combined with a growing preference among younger smokers for the less-intensive upkeep of acrylic and the fact that many pipemen no longer clinch their pipes seems to be spelling the end of the ebonite-era of Peterson mouthpieces. Get ’em while you can! Incidentally, this shape would become the last of the Bs, shape B65, in subsequent appearances. The FE was issued in an edition of 1865 pieces, to commemorate the year the company was founded, with smooth, sandblast and rustic pieces all being given a serial number. The mouthpiece for the FE is ebonite, incidentally. It became shape D18 after debuting as the FE / POY for 2016. 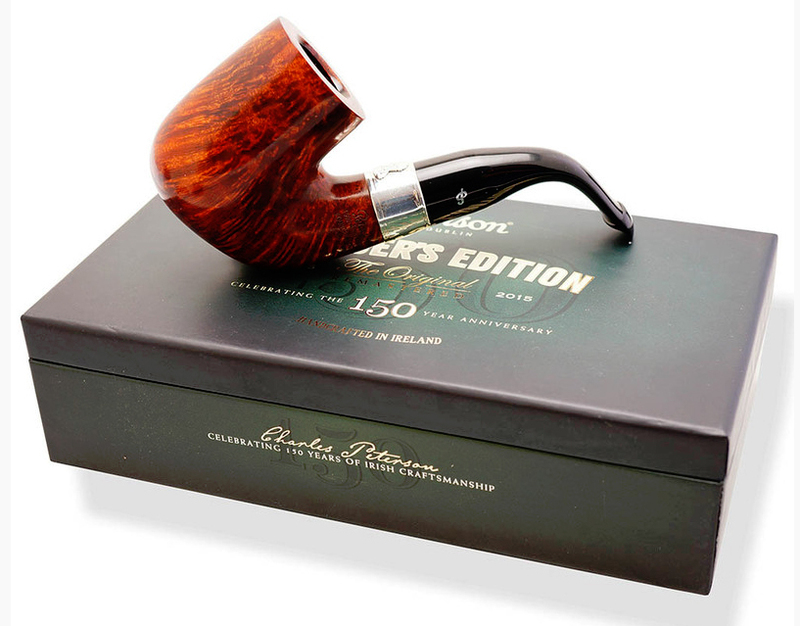 In 2016, the LIMITED EDITION stamp and designation were dropped in favor of simply “Pipe of the Year.” The issue was also reduced to 500 pieces from the standard 1,000. This is one of the most innovative POYs ever released at Peterson. It became shape D20 in its subsequent releases. The bowl on this one’s an exact, and I mean exact, replication of the 1906 “Jap.” The bowl walls are thicker than the original. It became shape D21 after its debut as the 2017 POY. 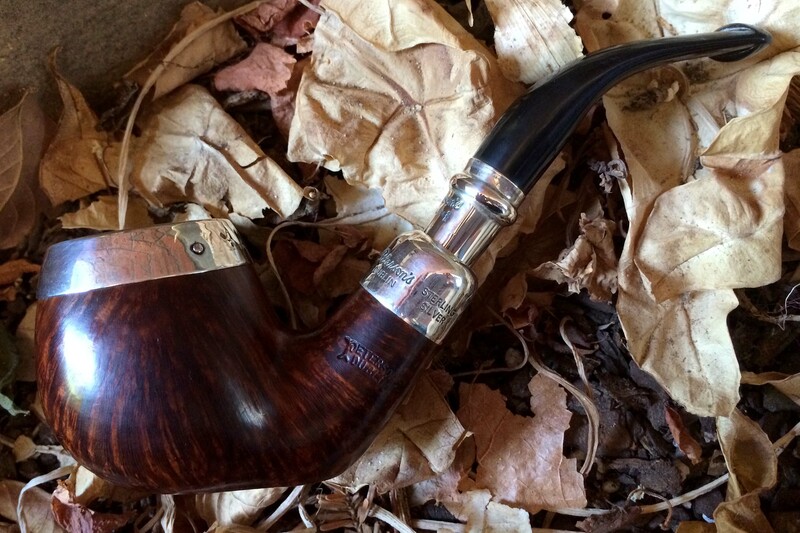 I love this Peterson “gaslight” shape–you can read about it and its evolution in the blog on the 2018 POY. It should become shape D22 in the catalog. I’ve had several of LEs in my rotation over the years and from time to time think it might be fun to collect all of them, but then I get practical and remember pipes that I didn’t hit it off with, pipes that lay gathering dust and tarnish in the rack—the curse of not being a collector, I suppose. If you or anyone you know has a complete collection, please drop me a line—I’d love to blog about your collection. Photo credits are given in parentheses below each pipe. Thanks to all the contributors! *Thanks to Jim Frenken for correcting the photo for 1999. The image is from Peterson’s Smoker’s Guild #3, Summer 1999. While Peterson estate prices are rising, they’re still the greatest bargain around. I’ve seen early Limited Editions with asking prices of $1,000 and $750, unsmoked and with the original box and ephemera, but I haven’t seen anyone paying those prices . . . yet! The market worth will depend, of course, on the condition of the pipe in question. In the last year or so, I’ve picked up some Limited Editions as new/old stock for less than $200. The publication of the book next year will (unfortunately for me!) raise prices a little more–maybe a lot more. You can get a good idea of what the LE / POYs are going for by following them on ebay. A lot of it still depends at this point on the popularity of a particular shape. The Shamrock 999 Chubby, for example, was a lower-grade pipe of the 1940s and 50s, but it’s extremely sought after by Pete Nuts and almost always sells for more than $100 if in good condition. Same with any Peterson Oom-Paul–the 02s, etc. I have been collecting as many of the POTY shapes I have been able to get my hands on. In my search for them I end up with one particular question though: why do so many pipes pop up saying they are the 1999 POTY, especially a smooth red bulldog spigot shape. Where doea this shape come from? I have no doubt in my mind it is a peterson. Was it released as an alternative POTY for a particular market? I wold love to hear your thoughts on this! Hi Jim! At last–someone who is collecting the POTYs! How wonderful. 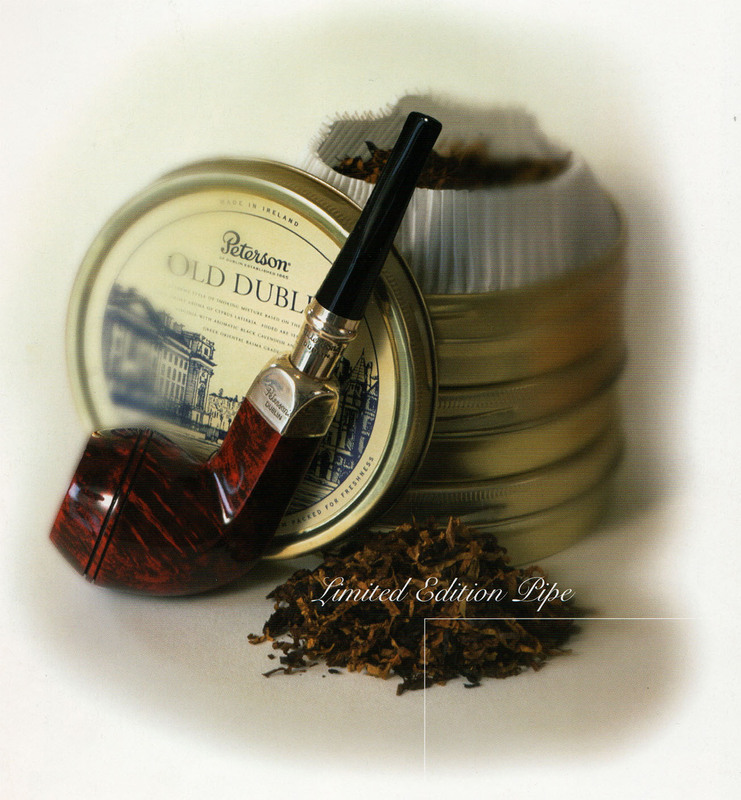 The illustration for the 1999 POTY in my article is the one Peterson released, as seen in their SMOKERS GUILD magazine of the period. Is there some other pipe you are referring to? The one in the photo — the official one for 1999 — has a gold-plate over sterling mount, as seen in the photo. It was not a reproduction of an earlier Peterson shape, but an original XL produced for the release. I’ll email you directly if you can add any more information to your question. I have seen them come by on Ebay quite regularly and they are always refered to as Peterson POTY 1999. Luckily I have your blog to use as a referance for my collecting endeavours to check what pipes to keep a look out for. This one just seems an odd one since it keeps popping up referred to as a pipe of the year although it does not show up in your list (which I completely trust as being correct!). Thanks for calling my attention to this! The photo in my blog for 1999 is actually the same pipe, with different stem, than that shown for 1997. I THOUGHT that was strange when I first wrote the blog. I have corrected it, and attach the Smokerâs Guild No. 3, Summer 1999 cover photo for you. Mary Coulahan, who is offering the pipe, is a reputable dealer. Iâve bought pipes from her before. The photos plainly show the Peterson POTY markings. I also revised that blog and credited you for your help. Any idea why there has never been a POTY offered with a P-Lip? Aye! There’s the rub. I just asked director Conor Palmer that very question today. Peterson’s last real commitment to the P-Lip was in the Sherlock Holmes series, and it’s a great shame, as the P-Lip will outsmoke and outperform a fishtail every time. Unfortunately, mine is the minority opinion, and the folks at Peterson need persuading. Do drop Conor a line at Conor@peterson.ie. They need convincing from the fan base, as they take their intel from their distributors, who (in my opinion) don’t know what we want. He will listen to you. Case in point: the Christmas pipe a few years back was scheduled to be released as an army mount, but Peterson was dissuaded by their distributors. Hmm. Fast-forward 2 years and we have a 2016 army mount Christmas pipe! Mark, has the 2003 pipe ever been released before/after that year? (as a shape #). Yes sir, it was the B20. Only ever seen the unfinished Shamrock, I believe, in that pipe. If you’ve made another sighting, let me know! It must have sold extremely well, or perhaps (as it sometimes the case) never have made the full 1000 in the lot. Hello Mark, if you would still like to blog about a (near) complete collection of POTY’s feel free to contact me. I own all of them except the 2010 POTY and the newest 2018 addition to the line. Thanks for this great blog. It is always a pleasure to read and I am really looking forward to the upcoming book! 128. Peterson’s New Bowl Coating.